Reliance Jio is no longer free. This simply means that users now need to pay for data and other services. 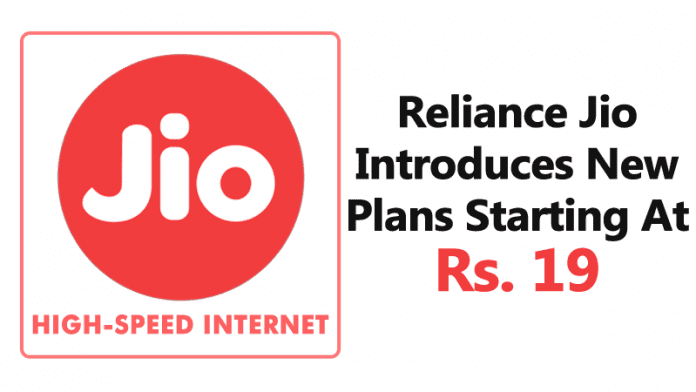 Recently Reliance jio introduced several tariff plans for both Jio prime and Non-Prime members. Well, Indian users have already enjoyed the free services provided by Reliance Jio. Reliance Jio had already dominated the telecom industry. Previously, we have seen Reliance Jio introduced summer surprise offer in which users would have enjoyed another three months of free services. However, TRAI had ordered Reliance Jio to eliminate that plan. After the suspension of Summer Surprise, Jio introduced Dhan Dhana Dhan offer and has launched 2 new tariffs plans for users who wants to enjoy unlimited services for another 3 months. Users need to subscribe to Jio prime and then recharge the Dhan Dhana Dhan offer to enjoy the services for another three months. So, Reliance Jio is no longer free. This simply means that users now need to pay for data and other services. Recently Reliance jio introduced several tariff plans for both Jio prime and Non-Prime members. Let’s have a look at the plans. The plan will be valid for 1 day only. Jio Prime users will get 200MB of 4G data along with free voice calls. On the other hand, Non-prime members will get only 100Mb of 4G data along with other free services. This plan will be valid for 3 days, users will get 600MB of 4G data along with unlimited voice calls. Non-prime users will get 300MB 4G data, and the other services including unlimited voice calls and SMS remain unlimited. Jio prime users will get 7GB of 4G data along with Daily 1GB FUP limit. After FUP limit the speed will drop to 128kbps. Calls and SMS will be unlimited. For non-prime members, users will get 600MB of 4G data for 7 days and other services remain unlimited. The plan will be valid for 7 Days. This plan will be valid for 28 days. Jio prime users will get unlimited calls, 300 SMS and 2GB of 4G data. Non-Prime users will get the same benefits on calls/SMS and will get only 1GB of 4G data. This plan will be valid for 84 days. Users will get daily 1GB high-speed data, that means 84GB of 4G data. The plan has 1GB data FUP per day after the FUP limit speed will be dropped to 128kbps. After 84 days users will get 28GB 4G data for 28 days at the same recharge. This plan will be valid for 84 days. Users will get to use daily 2GB high-speed data for 84 days, that means 168GB of 4G data in total. The plan has 2GB data FUP per day and after the FUP limit speed will be dropped to 128Kbps. Users will get 56GB 4G data for 28 days at the same recharge after 84 days. There are several other plans too which include Rs 999, Rs 1,999, Rs 4,999 and Rs 9,999 plans. However, those plans are really expensive. If you want to know more about the plans, visit this link.